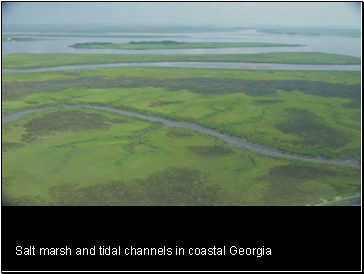 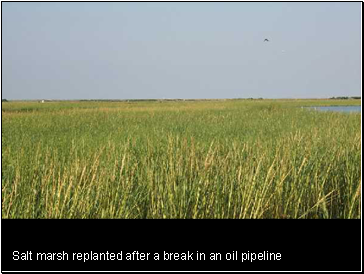 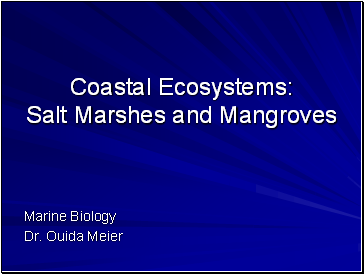 Freshwater input often critical – deltaic riverine input can result in extensive marsh systems, abundant alluvial sediment input. 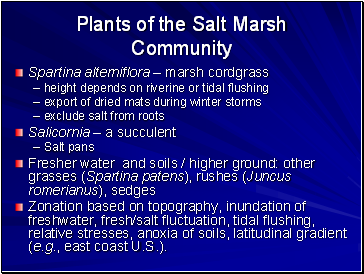 Salt accumulation a challenge. 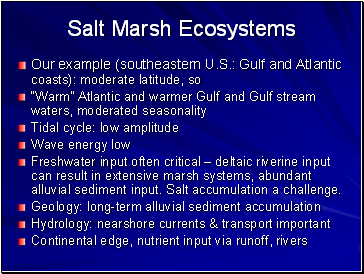 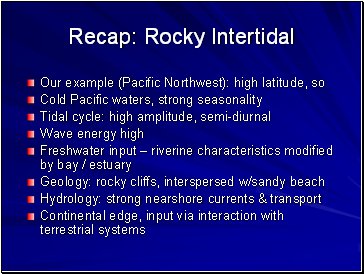 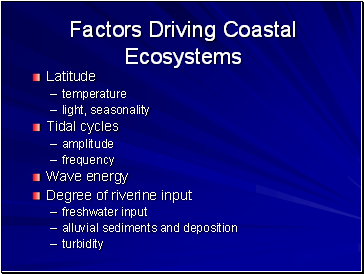 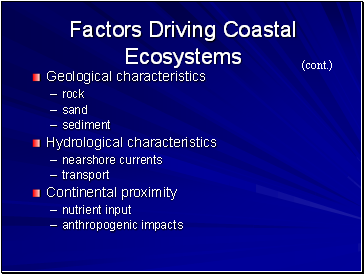 Zonation based on topography, inundation of freshwater, fresh/salt fluctuation, tidal flushing, relative stresses, anoxia of soils, latitudinal gradient (e.g., east coast U.S.).